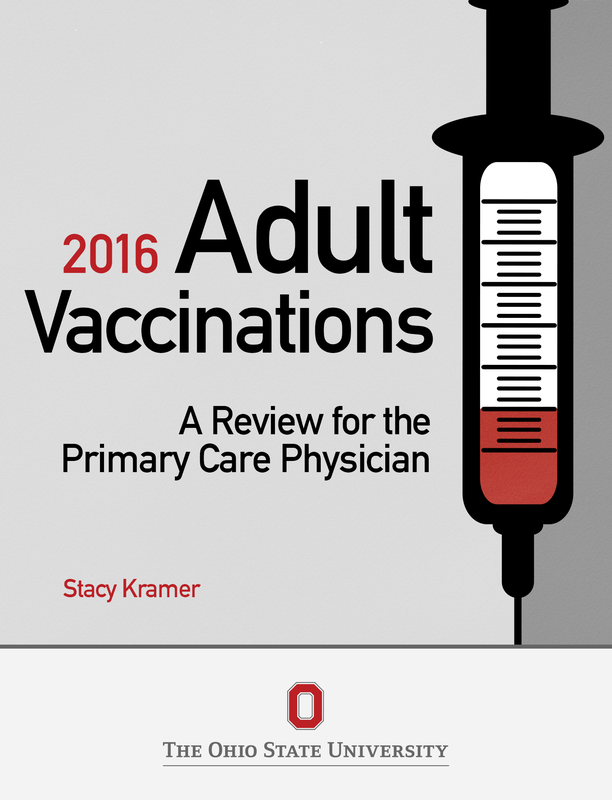 This book provides a summary of adult immunizations with guidelines, indications, and contraindications. It was developed for Internal Medicine residents at The Ohio State University Wexner Medicine Center. The book is meant to be a simple read with high yield points to serve as a reference in the primary care clinic setting. Every year vaccine guidelines are updated so please refer to the Advisory Committee on Immunization Practices (ACIP) on the CDC website for the most up to date guidelines. Adult Vaccinations Copyright © by Stacy C. Kramer, MD. All Rights Reserved.